Archbishop Triceratops – The Paleocene Creed – Page 10 – Giant Space Lizard! 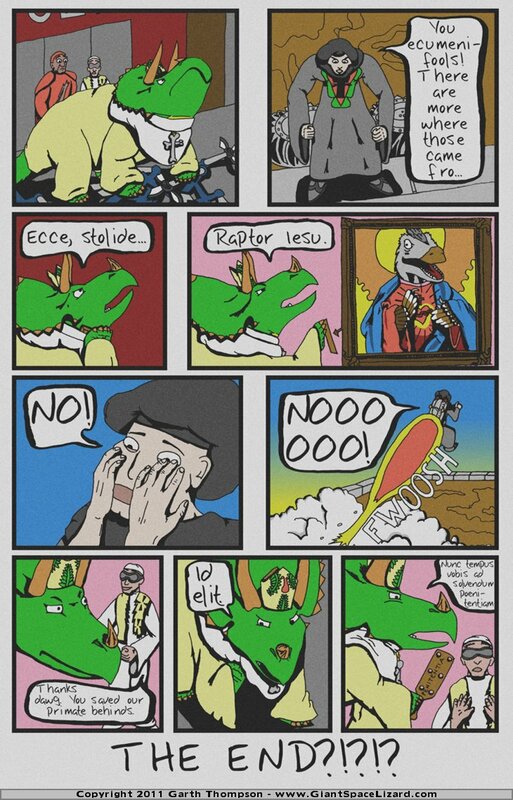 Archbishop Triceratops: Ecce, stolide…Raptor Iesu. Urban IX: Thanks dawg. You saved our primate behinds. Archbishop Triceratops: Id elit. Nunc tempus vobis ad solvendum poenitentiam.